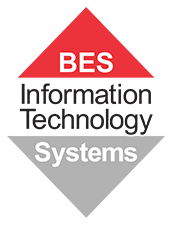 BES IT Systems have been Microsoft partners since the 1990's. We are certified Managed Certified Professionals, Managed Services Providers, Cloud Solutions Providers and Microsoft procurement partners for hundreds of schools, corporate and non profit organisations around Australia. The latest Surface endpoint devices: Surface Pro, Surface Book, Surface Go and accessories. We can assist your business with all Microsoft solutions. Request a call back by leaving your details and our local Brisbane-based experts will return your call within 3 business hours.